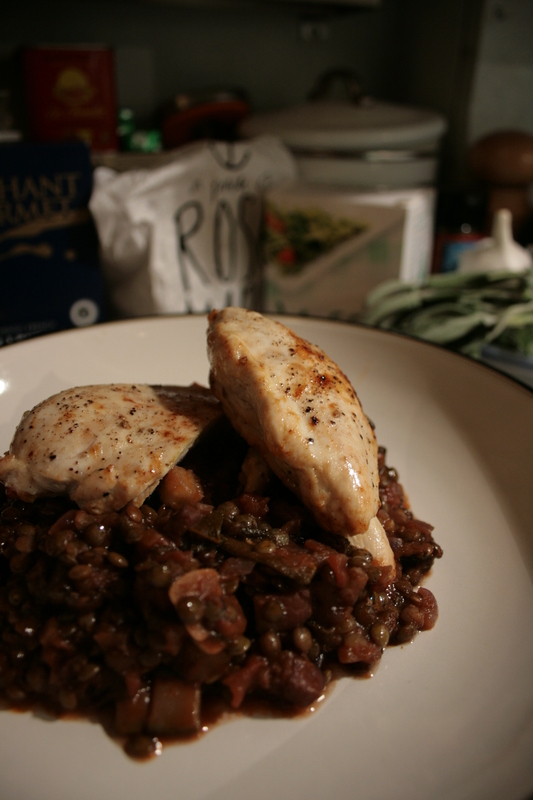 I don’t know about you, but for me there is something so comforting about puy lentils. 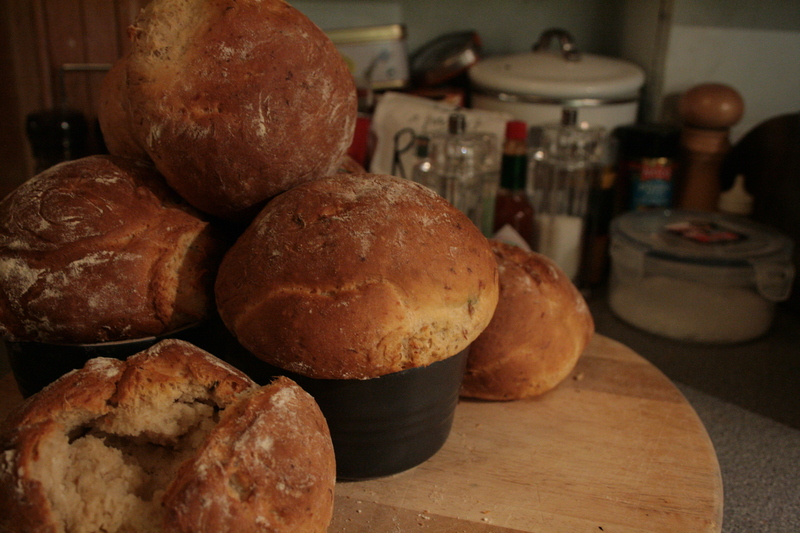 They speak to me of warming wintery stews with sausages, red wine and lots of herbs. Recently when my cupboard seemed depressingly bare, I threw together the random collection of ingredients I did have and this dish was born. And it was bloody delicious. I’ve played around with it since then and this is a new incarnation of what has become a staple dish. This week our good friend Phil flew off to Australia for a year-long adventure with his lovely girlfriend Charlotte, leaving a rather large hole in a good many lives. Those particularly afflicted will inevitably be my own dear husband, Phil’s best friend Duncan (and his wife Kim), and his brother-in-law, Revs. 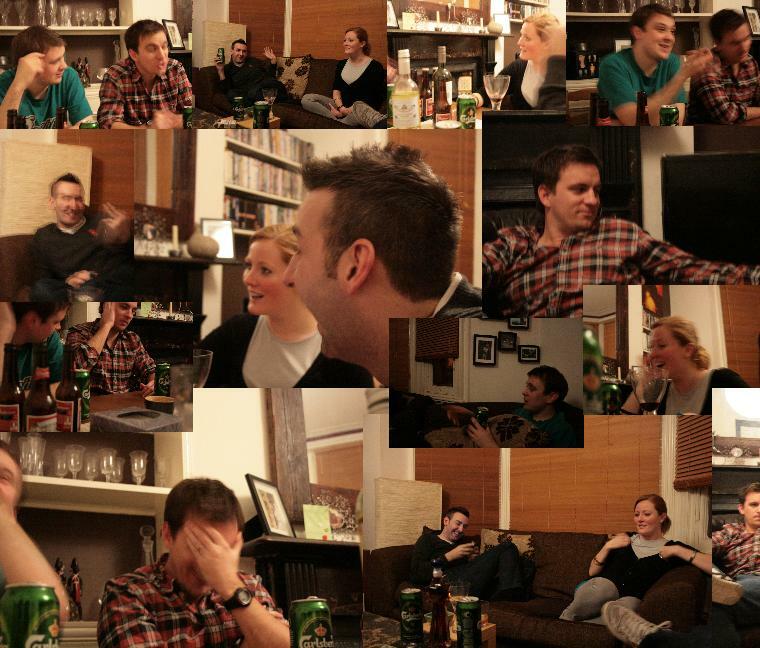 So, as misery loves company we all decided to get together to console with each other. Of course, the only dish that would do was a curry, so I decided to make a Korma as the mild creamy spiciness would suit all palates. However, in order to satisfy the boys I chucked in some whole mixed chillies for a bit of edge. 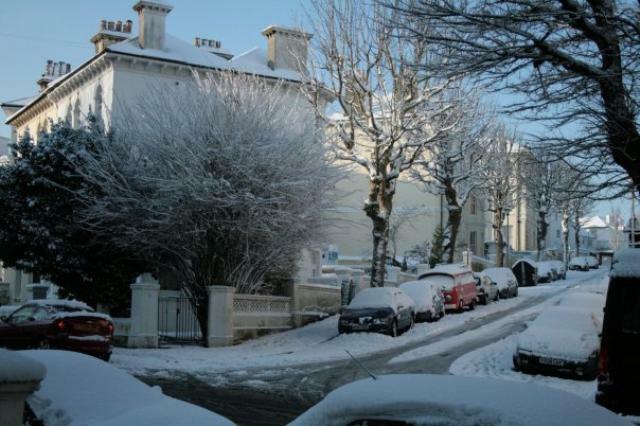 Observe, if you will, the view from my front door (taken as I was contemplating going to work). I decided that working from home was by far the safer and warmer option. The only problem is we’re running very low on supplies. However, fear not. It is for days like this that God invented the freezer and it is on days like this that I’m grateful that I’ve previously had the presence of mind to bulk cook and freeze some basics. So, on tonight’s menu: home-made Chilli Con Carne. I’ve always observed that chilli is actually much better after it’s had time to marinate, so hopefully tonight’s defrosted version will actually be tastier than the original. I’ll leave the recipe until another time; it just doesn’t feel right giving you a recipe for something I’ve defrosted and warmed on my stove. It’s a good’un though. Full of spices, fresh chilli and a splash of coffee, strange as that sounds. I’ll post it soon. When I was growing up my dad cooked a roast every single Sunday without fail. He was the unchallenged master of roasts. That is, until now. After many years of practice I think I’m almost ready to challenge for his crown. 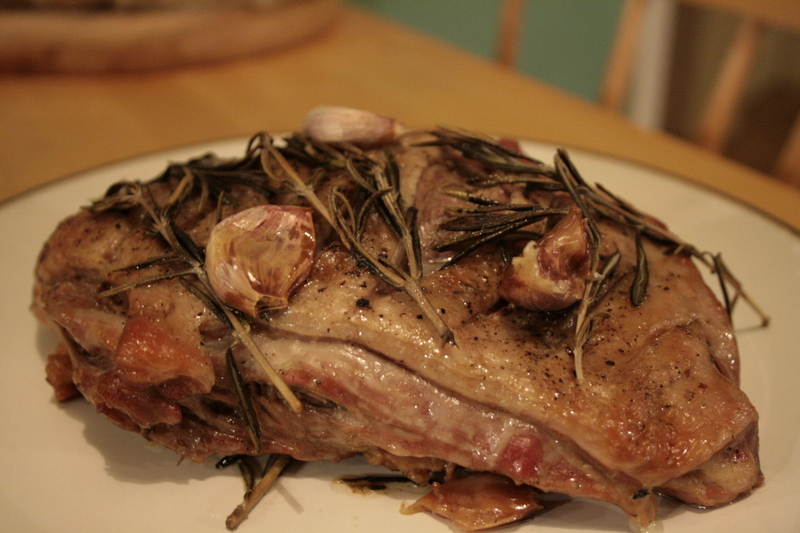 Yesterday I slow-roasted this shoulder of lamb (well half a shoulder – there was only two of us, afterall) and it was the bomdiggy, and so easy. With this method there is none of the usual stress associated with a roast. You bung the lamb in and leave it for hours, leaving you plenty of time to prepare the accompaniments at your leisure. Easy like Sunday morning. Now the winter has well and truly set in, I am really craving some hearty winter warmers and there is nothing so warming as a good ol’ pie, with pastry, served with buttery peas! It’s such a delight to set one down on the table and see the glee in your fellow diners’ eyes! 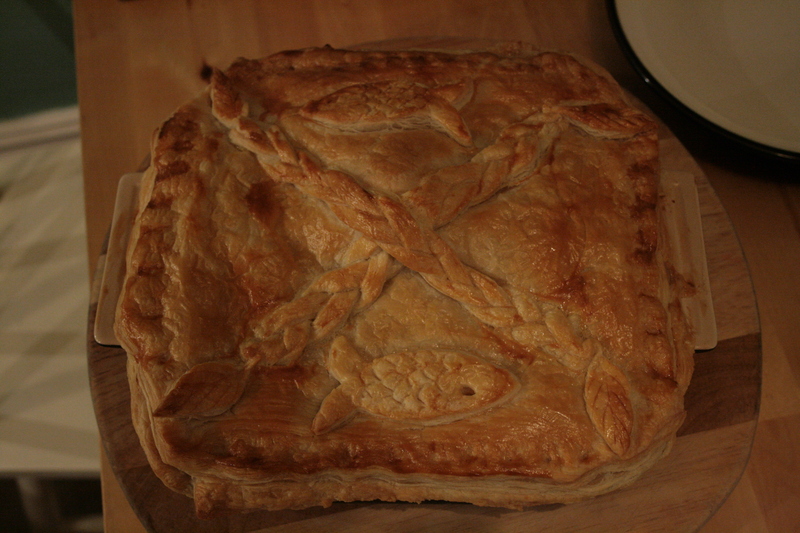 My sister and I made this fish pie following Nigel Slater’s recipe last week. 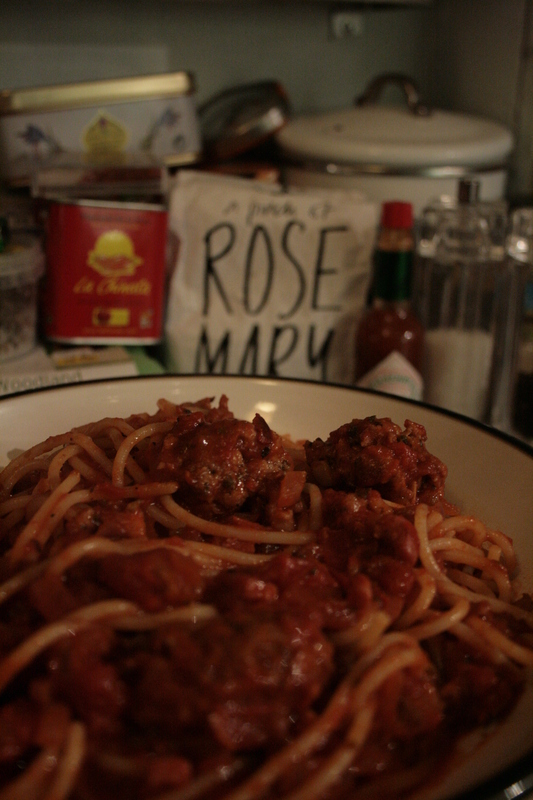 It was the first time I’d cooked something out of Slater’s Real Cooking book. It was a raging success – even my husband who ordinarily doesn’t like fish much ate it all up! And look how pretty! This is a great way to do really easy meatballs. A total cheat’s secret, but so yummy no one will ever know (or care!). Play around with different sausages and spices!